Join us as a guest or a sponsor as we celebrate 45 years of revitalizing Kansas City neighborhoods! Purchase tickets ahead of time by clicking the button below. 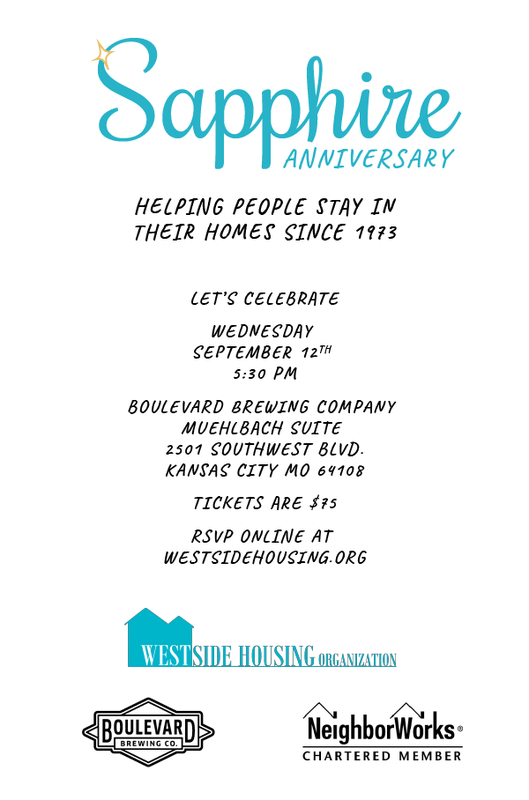 Westside Housing Organization will celebrate 45 Years Strong at the Boulevard Brewing Company’s Muehelbach Room. We will celebrate our history and recognize our community award recipients. Stuart Bullington, our Community Champion along with Boulevard Brewing Company, recognized as our Community Capacity Builder, will receive recognition during the program. We hope you will join us for a fun, lively, historic evening filled with good food, live music, yard games, and KC’s finest beer. Here is where you can purchase tickets!